Yggdrasil Gaming is a Swedish gaming provider for online casinos. The company is headquartered in Stockholm/Sweden. There, Yggdrasil was also founded in 2013 by former Netent CEO Frederik Elmqvist. The company logo of Yggdrasil also includes the ash of tree. This makes sense in many ways: Yggdrasil means the influence and deportation from multiple worlds. 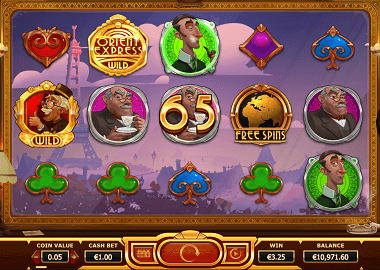 In the Yggdrasil Gaming online slots you can see exactly these many influences. 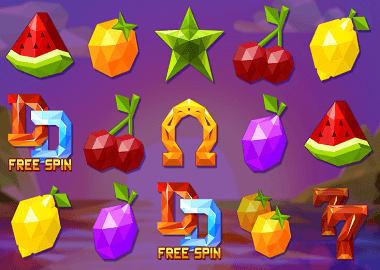 You do not play simple fruit games here, but elaborately developed games with brand-new bonus features and an innovative technology behind it. One of the key developments of Yggdrasil Gaming is the iSENSE 2.0 client framework, which enables omni-channel releases. It’s a smooth, downloadable and flash-free process that does not affect the performance of your smart phone, tablet or computer. Especially for mobile users the iSENSE tool is unbeatable. It makes possible to implement speedy animations into the games with maximum quality no matter where games are played. The Yggdrasils Boost tool allows online casinos and any other providers to implement in-game tournaments and make spontaneous cash-drops. In addition, players have direct access to social networks to instantly share the games and experiences. The tool behind that is BRAG, a revolutionary promotional tool. Of course Yggdrasil also develops all games in HTML5. Together with the iSENSE technology, Yggdrasil has a completely different approach to the gaming portfolio. The advantage is particularly great for tablets, smartphones and iPhone users. You can easily get a picture of this: start a Yggdrasil slot on your smart phone and compare it with any other slot. In many ways, Yggdrasil Gaming online slots are ahead of the times. The technology is already ready to implement even more complex graphics and features. That’s why you can expect every new online slot with excitement. Yggdrasil holds the gaming licenses of Malta, Romania, Gibraltar and the UK Gambling Commission. The portfolio of Yggdrasil online slots is not the biggest, but convinces with quality and innovative games themes. Since 2013, the Swedish developers and graphic artists have published just over 40 online games. One of the first games is the Reef Run Slot. Although this game is more than 5 years old, you can easily see the effort and quality. There are no cheap playing card symbols here, but fully animated themed symbols. The game features a Free Spins Mode, Level Up Muliplier, a Golden Bet feature and a Reef Run special award. 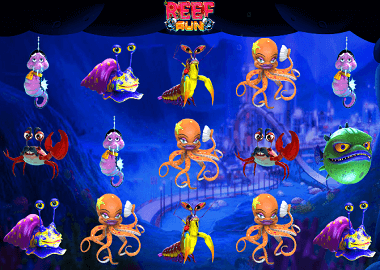 The Reef Run is just one example of the creativity of Yggdrasil slots. 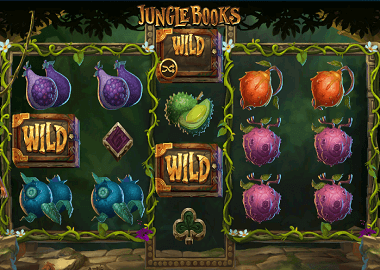 Of course, Yggdrasil Gaming also uses the classic clichés of online slot machines. These include games such as Jungle Books, The Beauty and the Beast, Orient Express, Alchymedes, Double Dragons, Golden Fish Tank or Valley of the Gods. All of these games themes can also be found on slots from Netent, Play’nGo, Quickspin, Gamomat or Microgaming. You can also find fruit games at Yggdrasil, for example. 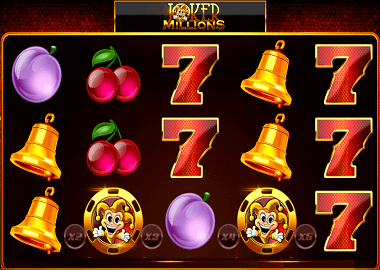 The Winter Berries and Joker Millions slot also have their own special features. For example, Winter Berries has a freeze re-spins feature as well as column multipliers and the Joker Millions slot includes a progressive jackpot. And this jackpot is by no means a small jackpot, but it can compete with the big jackpots in the industry: the biggest jackpot win was €2.881.257. In addition to these more or less familiar games themes, Yggdrasil also has his own creations. These online slots include Gem Rocks, Easter Island, Chibeasties, Seasons, Doubles, Fruitoids, Incinerator or Reptoids. 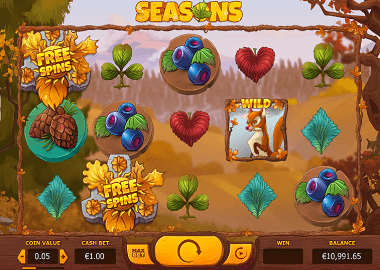 The Yggdrasil Seasons slot is a masterpiece. Here you play in all 4 seasons and you always have new bonus feature. Every season is like a new slot and the entertainment value of this game has no limits. By the way, Yggdrasil online slots have an average Return to Player (RTP) of over 96%. Even the Joker Millions Slot pays an average of 95.3% back to the players. This is a very good value for a progressive jackpot slot. You can play Yggdrasil Gaming slot machines for free. You’ll find some of the most popular games right in the sidebar. On our Free Slots page there is an even wider selection of free online slots including other manufacturers such as Novomatic, Playtech, ELK Studios and many more. Many of the games are compatible with smart phones and tablets. The free games are of course freely accessible – you do not need to make a download and of course you do not need to register! Spin the reels as long as you want and wherever you are. As a reputed, reputable and popular iGaming company, you will find Yggdrasil online games only in reputable online casinos. We offer three different providers: Videoslots, Guts Casino and Rizk Casino. You can find more game providers in all three casinos and live casinos are also available. As a new player you can even redeem a welcome bonus. In the videoslots casino u.a. 11 bonus spins at Netent’s starburst slot. More bonuses and free spins are available. All details about your welcome offers can be found in the table below. The last word belongs to Yggdrasil Gaming. In a very short time, the company has built an excellent reputation in the iGaming industry. The following awards demonstrate the impressive way: “Winner of the EGR Award” in 2015 and 2016. Winner of the “International Gaming Award” in the categories “Gaming Software of the Year” (2016) and “Innovator of the Year” (2017, 2018). If you play Yggdrasil slots with real money, do not forget to play with responsibility. More information about this important topic can be found here: “Responsible Gambling in Online Casinos”! Enjoy Yggdrasil games and online casinos the right way!